There are multiple artists that share the name Eric Martin: 1 A hard rock singer who fronted Mr. Big 2 A producer from Chicago, IL, a member of Traxmen. 3 The producer of the This American Wife podcast, a parody of public radio 1. Eric Martin (born on October 10, 1960, in Long Island, New York State) is a singer, best known as the former vocalist of hard rock band Mr. Big. Before his career in Mr. Big, he played in a rock group called 415, formed in the late 1970s. This band recorded one album, "Sucker for a Pretty Face", after which they changed their name to the Eric Martin Band. 2 A producer from Chicago, IL, a member of Traxmen. 1. Eric Martin (born on October 10, 1960, in Long Island, New York State) is a singer, best known as the former vocalist of hard rock band Mr. Big. Before his career in Mr. Big, he played in a rock group called 415, formed in the late 1970s. This band recorded one album, "Sucker for a Pretty Face", after which they changed their name to the Eric Martin Band. 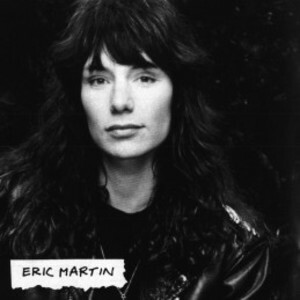 The Eric Martin Band broke up in 1985, after which Eric Martin recorded two solo albums, "Eric Martin" and "I'm Only Fooling Myself". In 1988, Eric Martin, Billy Sheehan, Pat Torpey and Paul Gilbert formed Mr. Big, obtaining huge commercial success. Eventually, Mr. Big went for a break, when 1998 saw the release of Eric's third solo album, "Somewhere in the Middle", plus an accompanying tour with a new incarnation of the Eric Martin Band. After Mr. Big finally broke up in 2001, Eric Martin pursued his solo career further, releasing another solo album "I'm Goin' Sane" in 2002. He has since released two more albums, "Pure" and his latest, "Destroy All Monsters". He is also the lead singer and songwriter for the Tak Matsumoto Group, which released their first album, titled "TMG1" in 2004. In 2009, Mr. Big announced a reunion to coincide with the 20th anniversary of their first studio release, "Mr. Big." To commemorate the occasion, the band released two singles, "Next Time Around" and "Hold Your Head Up" and planned a tour of Japan and parts of Asia which kicked off in Estonia in September 2009. Eric Martin is still active in the music business, performing regularly in the United States and Japan. 2. Eric Martin is a house/ghetto/acid producer hailing from Chicago, IL. He is a member of Traxmen.